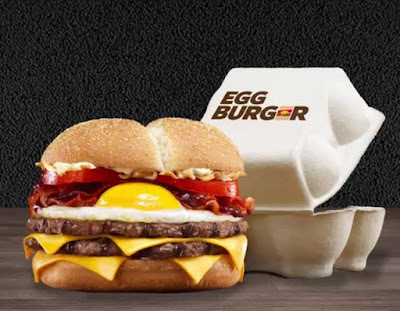 Burger King's latest burger in France is the Egg Burger, which comes topped with a sunny-side up egg and is packaged in an egg carton-like clam-shell box to drive the point home. 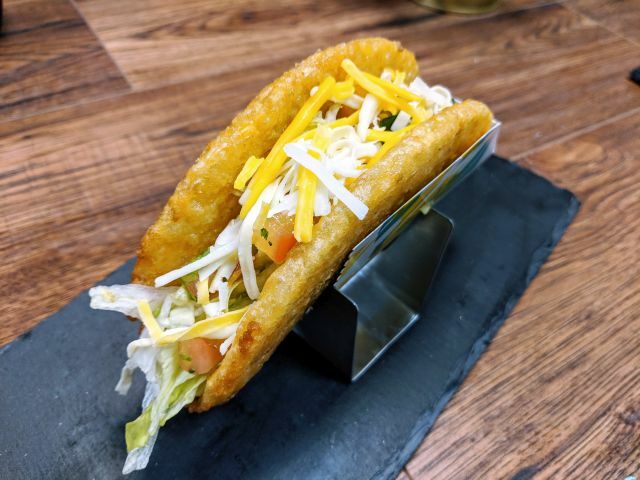 The egg is joined by a flame-grilled beef patty, cheese, tomato, crispy onions, bacon, mayo, and barbecue sauce on a toasted corn meal-dusted bun. A double patty version is also available. The box for the burger mimics an egg carton complete with egg-shaped dimples and looks to be molded pulp. The name of the burger is printed on top of the box complete with an abstract image of the burger which takes the place of the second "e."
Photo via Burger King France.